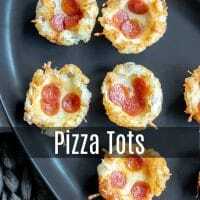 Pizza Tots - Home. Made. Interest. 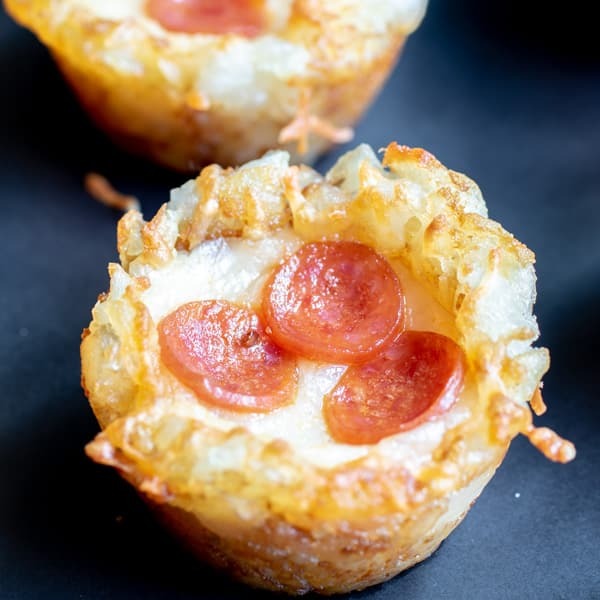 These cheesy, Pizza Tots are the new addition to our tater tot appetizer family. We started with Cheeseburger Tots and they have become one of our #1 game day appetizers. Now we’ve filled our crispy tater tots with spicy marinara, melted mozzarella, and mini pepperonis for the ultimate football game food! 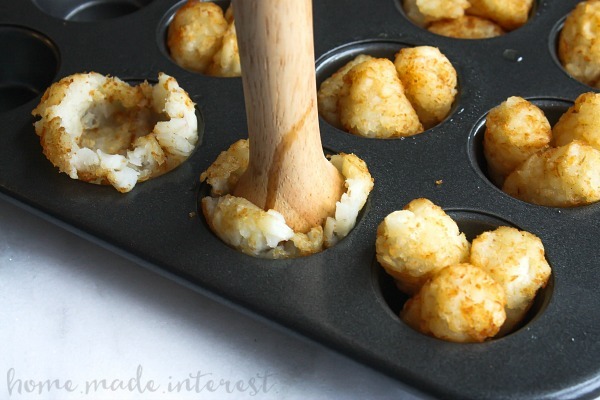 Grease a mini muffin pan and place three tater tots in each cup. Bake for 10 minutes. This will partially cook the tots, and get them warmed up and ready for the next step. After 10 minutes remove the muffin pan from the oven and use a tamper to press the tater tots down into each cup. This will create a tater tot cup. Note: If you don’t have a tamper that’s ok (but I do recommend it!) you can use a small shot glass, or anything cylindrical that is smaller than the mini muffin tin opening. 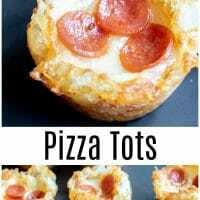 You just need to have enough room around the edges for the tots to push up and form a cup. 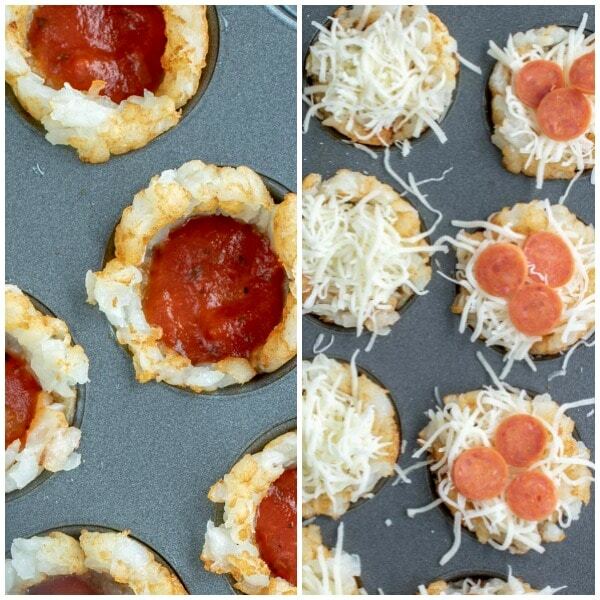 Fill the tater tots with pasta sauce, mozzarella cheese, and mini pepperonis. 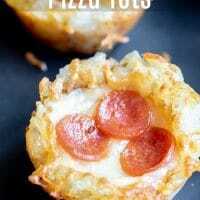 Remove the pizza tots from the oven and let cool for 5 minutes before removing them from the muffin pan. Don’t rush, if you let them cool a little they should hold together for the perfect pizza tot bite! Yes, it is really 3 tater tots in a mini muffin tin. Have faith! The tots won’t fit in perfectly for the first round of baking but once they have baked for 10 minutes they will have thawed and they will fit perfectly. 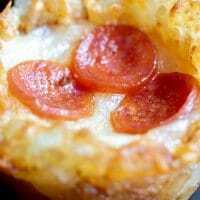 Use finely shredded mozzarella cheese. 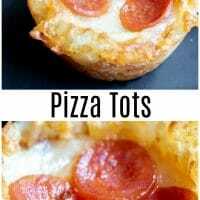 You would think this doesn’t make a difference but the finely shredded cheese fills the pizza tots up better so they are packed full of cheese. We limited the amount of sauce in these because we didn’t want them to have soggy bottoms. If you love sauce as much as we do we suggest serving them with a bowl of pizza sauce for dipping! Get creative! We used pepperonis but if you like veggie pizza then add diced peppers and mushrooms instead. The sky is the limit! 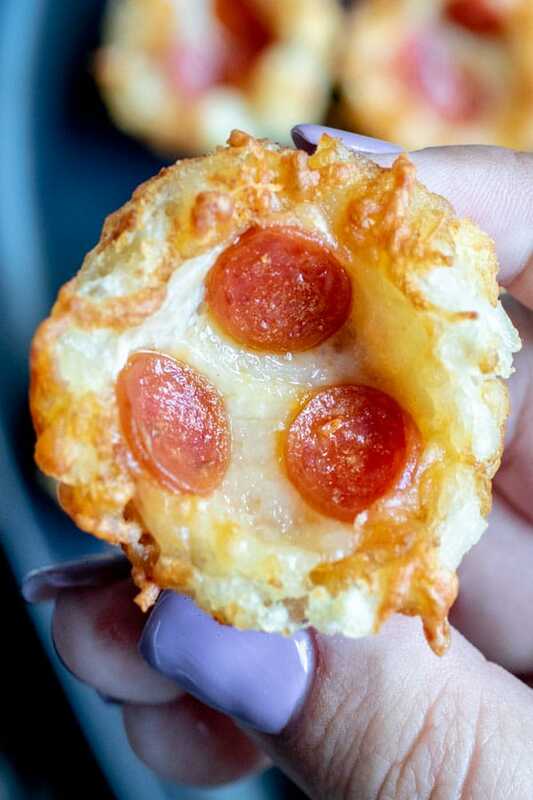 It’s best to pop your Pizza Tots in the oven right before people arrive. That way when people get there they are crisp, and hot and ready to be eaten! Tater tots need to be served immediately for the best experience so we don’t recommend making them ahead of time. Tamper – It’s not required, you can always use a shot glass or something else cylindrical that is the right size, but this tamper is perfect for making the cup indentation in the tots. Mini Muffin Tin – We often get asked if it is really supposed to be a mini muffin tin. The answer is YES! You’re going to have to trust me on this one. A regular size muffin tin won’t work (unless you add more tots).